A stunning range of float rods that offer superb performance and quality. Built on a slim and responsive HPC60+ Biofibre blank, finished in high gloss black with gold whippings the Beastmaster AX match not only perform well but also look superb. 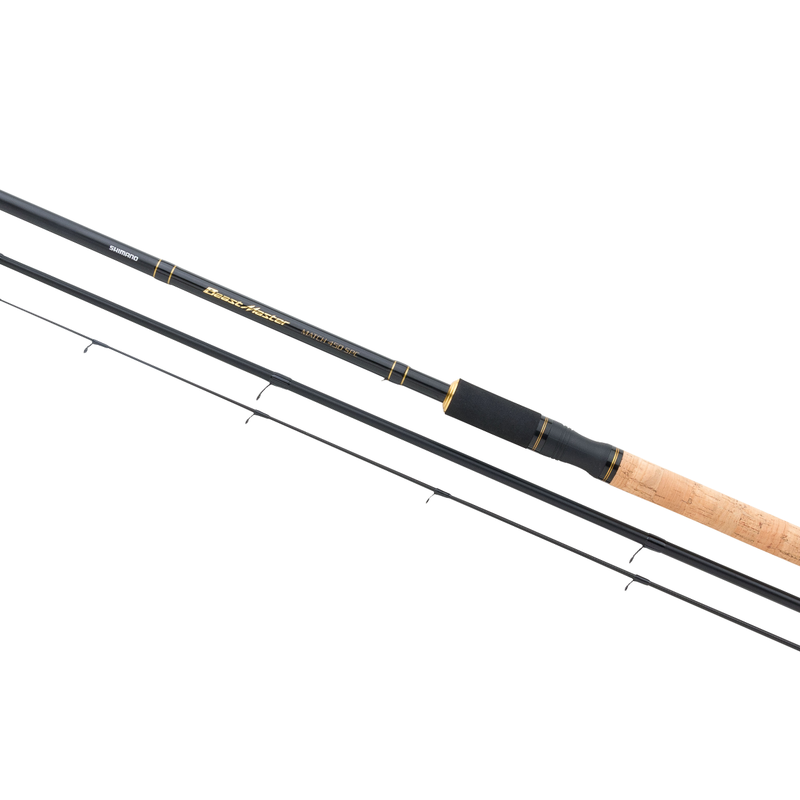 Lightweight Shimano Hardlite guides add a touch of quality to the rod without adding unnecessary weight and the Shimano Custom reel seat sits comfortably in the hand. Available in three lengths, there is something in the Beastmaster AX Match range to cater for all float fishing applications.